The 70-year-old Glaswegian underwent surgery for prostate cancer. 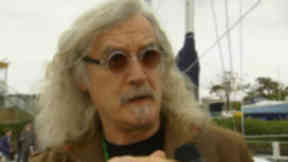 Comedian Billy Connolly has undergone surgery for prostate cancer and is being treated for the "initial symptoms" of Parkinson's disease. A spokeswoman for the Glasgow-born comic and actor confirmed the news on Monday. The 70-year-old, who is nicknamed The Big Yin, started as a folk singer in The Humblebums before moving into comedy in early 1970s. Connolly has appeared in several films since launching his comedy career including Mrs Brown, The Man Who Sued God and The Last Samurai. 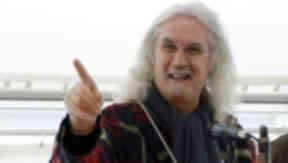 His spokeswoman said: "Billy Connolly recently underwent minor surgery in America after being diagnosed with the very early stages of prostate cancer. The operation was a total success, and Billy is fully recovered. "In addition, Billy has been assessed as having the initial symptoms of Parkinson's disease, for which he is receiving the appropriate treatment. "Billy has been assured by experts that the findings will in no way inhibit or affect his ability to work, and he will start filming a TV series in the near future, as well as undertaking an extensive theatrical tour of New Zealand in the new year." 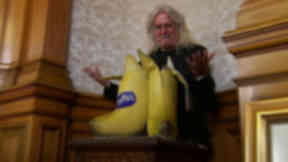 In 2010 the comedian was given the freedom of the city of Glasgow, an honour which he said left him "flabbergasted". Last December, Connolly received a lifetime achievement award from Bafta Scotland to mark his career that has spanned six decades. The comedian is married to New Zealand-born clinical psychologist and actress Pamela Stephenson, with whom he has had three daughters. He also has a son and daughter from his first marriage. Connolly attended St Peter's Primary School in Partick and St Gerard's Secondary School in Govan. He initially worked as a welder in Glasgow's shipyards, which he often referenced in later comic routines. He recently starred in The Hobbit film and earlier this year completed a stand-up comedy tour of Ireland. He is one of around 127,000 Britons with the Parkinson's disease, which is caused by a loss of brain cells that produce a chemical messenger called dopamine. Symptoms differ from case to case but often include a tremor or fine shake while the person is at rest, rigidity of muscles, slowness of movement and unsteady balance. Other possible symptoms can include memory loss and earlier this year, Connolly admitted he had started to forget his lines during performances. Speaking about it, he said: "This is f*****g terrifying. I feel like I'm going out of my mind." There is no cure for Parkinson's and scientists have been unable to work out why people get the condition. Symptoms can be controlled using a combination of drugs, therapies and occasionally surgery, but often more care and support may be needed as they progress.